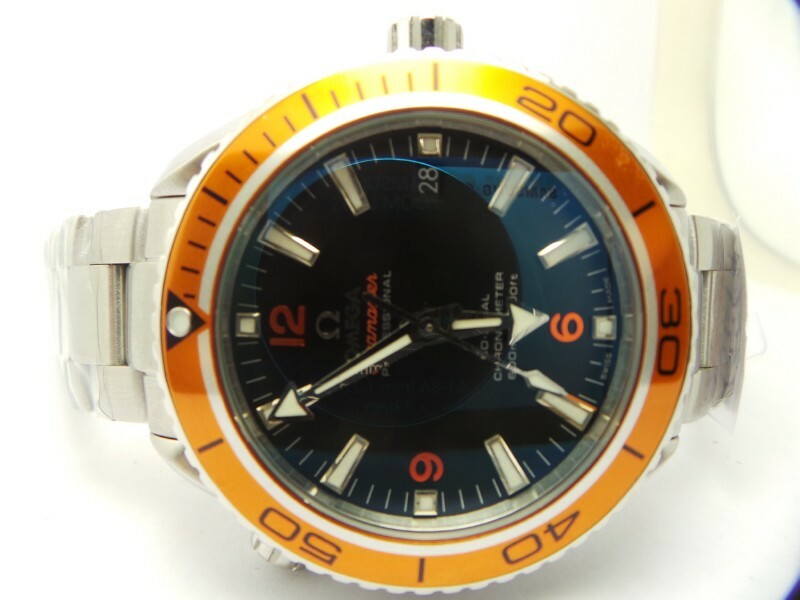 Many readers asked about this replica watch, the Omega Planet Ocean Orange Bezel, so today, I will give a full review about it, which is one of the best sellers in the market. The watch is made according to every detail of genuine because the factory bought the original watch from Switzerland and tear it down. 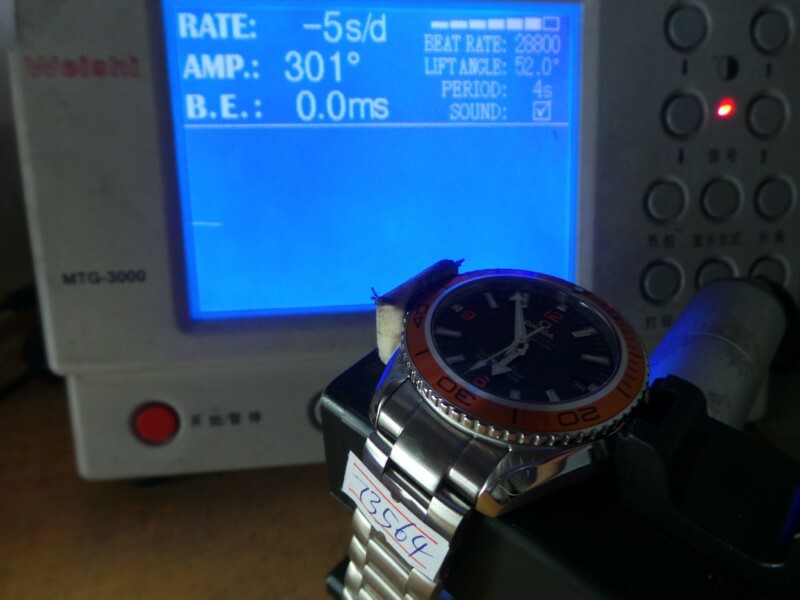 The replica Omega Planet Ocean is currently the best version I have ever seen among all Omegas. Not only genuine Swiss ETA 2824 movement equipped, but also the factory has tried their best to make every detail closest to genuine watch. Its case is solid 316L stainless steel, brushing processed with every mirror polished edges. The most important thing that could be said about on this cas is that it features correct lug width like the genuine, which is 20mm. 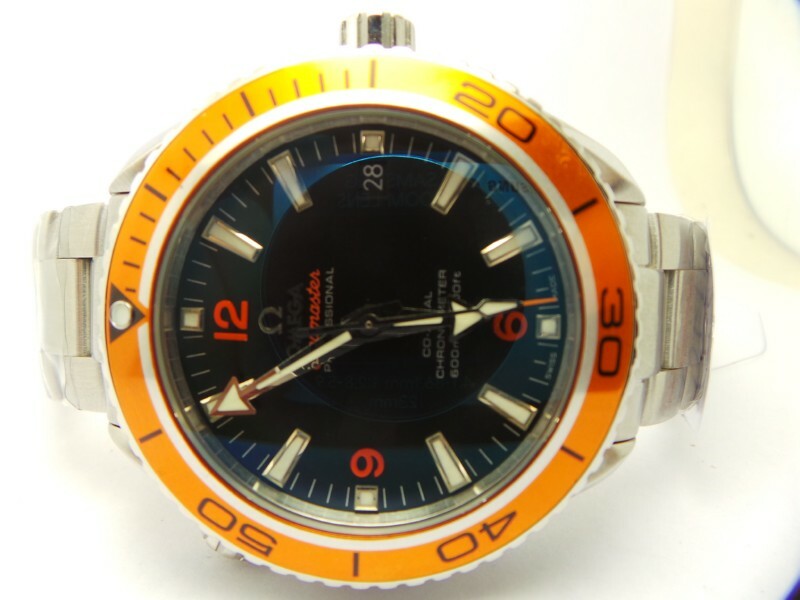 Stainless steel orange bezel insert is an iconic feature of this replica Omega watch, many customers bought this watch because they love its bezel. At 10 o’clock on left side of case, there is a HE button, but the function is faux. 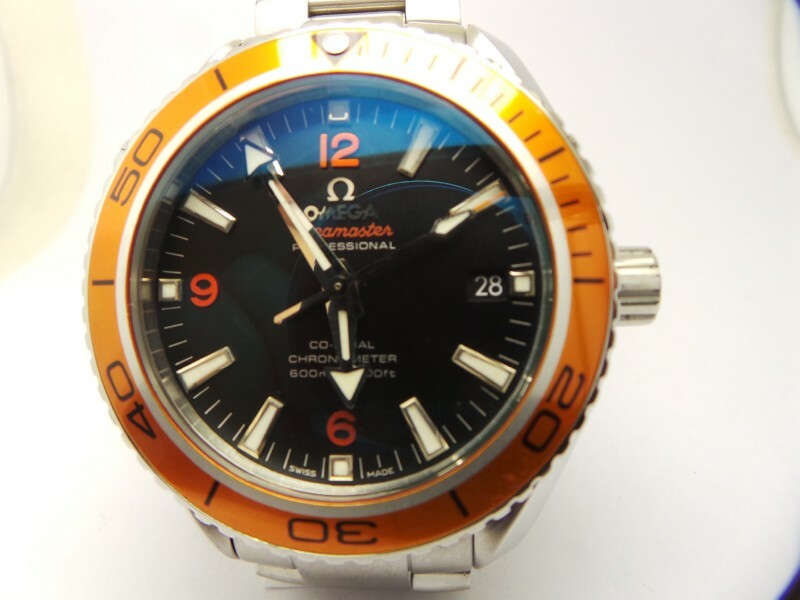 The dial is black, orange 6-9-12 hour markers are another iconic feature of this replica Omega. White printing and orange markers in black background increase a high dial readability. The orange tip of the central second hand is also a finishing touch. The dial has two lume color, blue on hour markers and hour hand, the bezel pearl and minute hand will emit green light in the dark. Superlume is also one of the reasons why many buyers love it. 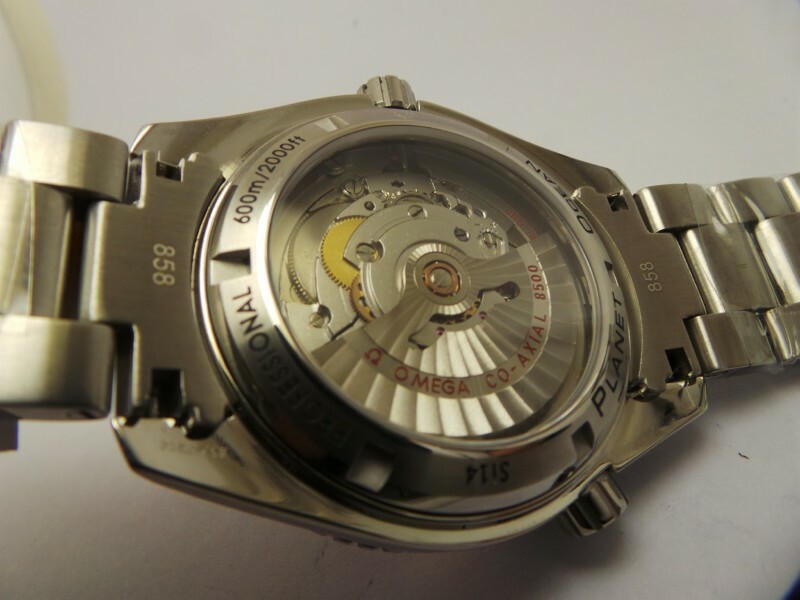 The last watch part I want to explain on this replica is its movement, which is a highly clone Omega 8500 calibre. 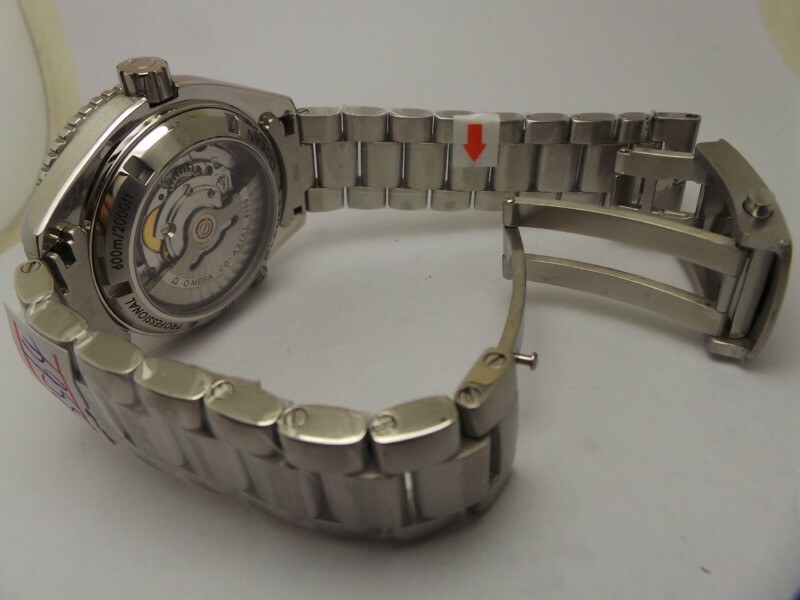 The factory uses genuine Swiss ETA 2824-2 as a basic movement, they modified it and have nnickle plated on movement plates and rotor, all markings and engravings on the movement are made close to Omega 8500. Check every detail on the watch parts of the replica before you order it online, many scam websites nowadays, so find a trusted one is the best solution. Omega 42 Orange. I’d like info on how to buy this watch. I live in Italy and would like details on price and shipping. Thank you in advance. Where can I buy this watch?Please email with me the information…Thanks! Can you send to Germany? Interested. How do I buy this? Ship to Philippines.